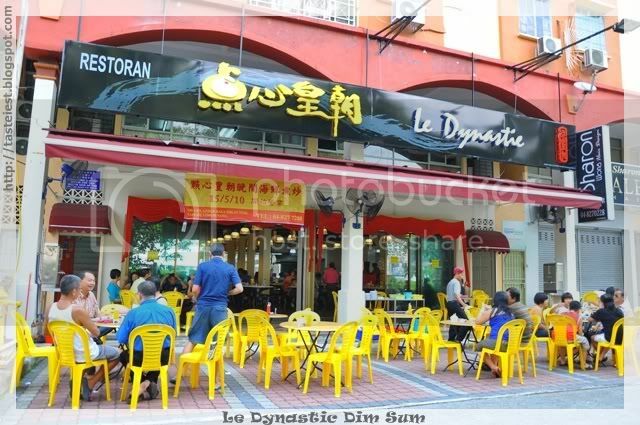 Le Dynastie Dim Sum was newly open Dim Sum restaurant in Farlim, they just started operation on 15/5/2010. Location is not so noticeable as it not facing main road and no advertisement like banner or whatsoever nearby. Environment is spaces and clean, but not much crowd even on Sunday morning while nearby Red Tea Garden Dim Sum are pack with people. 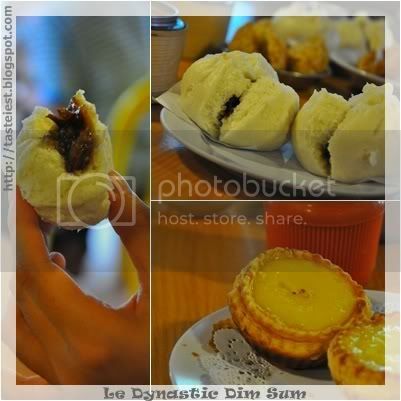 Jin Deui~Left, chewy dough filled with Lin Yong, sesame on outer skin and deep fried. The skin is not crispy while dough is not chewy. 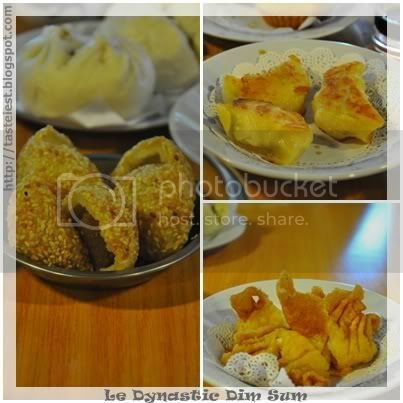 Woh Tip~Top Right (Potsticker), deep fried dumpling with minced pork inside. Pork meat is dry and not much flavour. Jian Ha Gao(Deep Fried Hao Gao)~Bottom Right, deep fried shrimp dumpling was crispy and delicious. Hao Gao (Shrimp Dumpling)~Top Left, Steamed dumpling with whole shrimp filling was nice and the skin is thin and transparent. 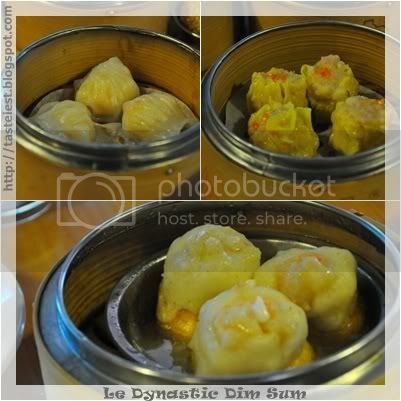 Siew Mai~Top Right, Steamed dumpling fill with chopped pork and prawn with fish role on top as decoration. Delicious. 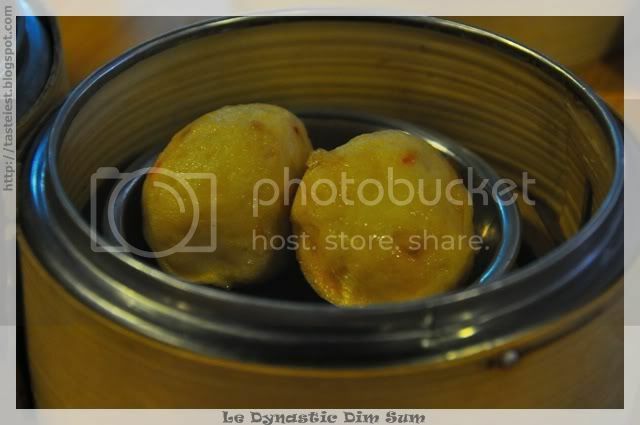 TauFu Dim Sum~Bottom, is new and special where fish paste (aka fish ball) was fill on top of Japanese Tau Fu, fish paste is Q and tasty while Tau Fu is soft, fill with home made sauce make it very tasty. 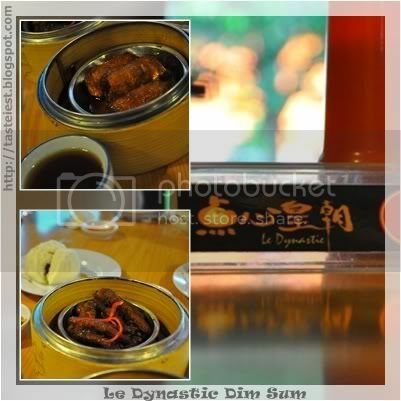 Pork Meat Roll with Sweet and Sour Sauce~Top, No~ No~ for this dim sum as it is very sweet. Fung Zao(Phoenix Talons)~Bottom, sauce taste like vinegar and tipping sauce(Sweet). Not bad. These fluffy buns (Cha Siew Pao) was not good, the Char Siew inside is not so tasty and it taste more to salty instead of sweet salty. Egg Tart, crust is crispy but egg custard is too sweet for me. 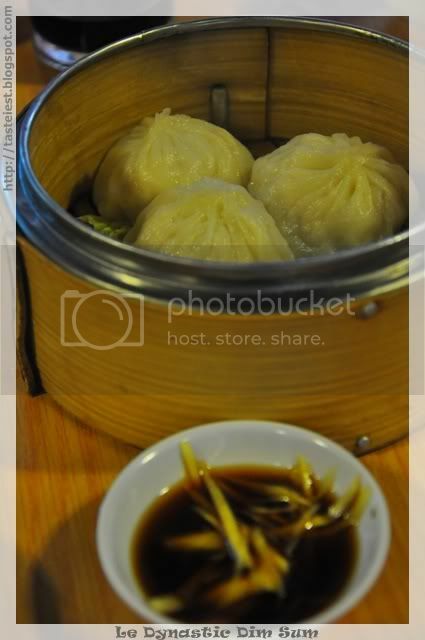 Xiao Long Pao, is a failure. Why I said so? Because the skin is not Q and just a little soup inside the Pao, while the meat is rough and tasteless. Price wise consider reasonable, spend RM36 for 5 persons. 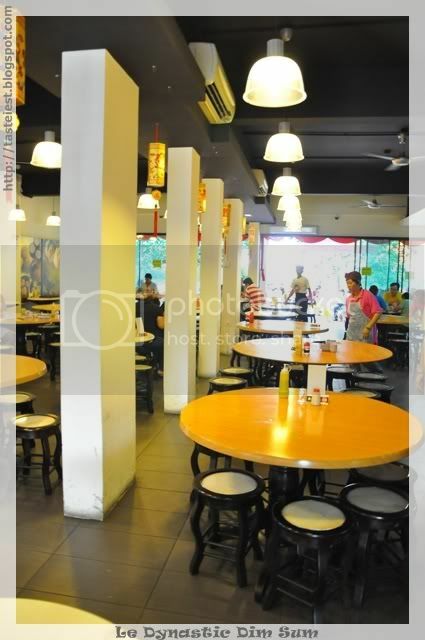 Overall food is not good compare to other Dim Sum restaurant, but service is excellent, they help to refill water every now and then.